Your browser does not support video embedded in HTML5. 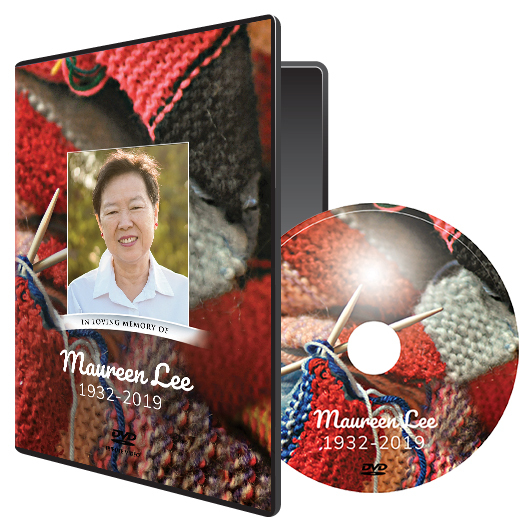 The Bookshelf Box Plus includes 75 photos, a DVD of the memorial video that also contains the digital photos and video files, and a Memory Drive which has the HD video file and digital photographs. 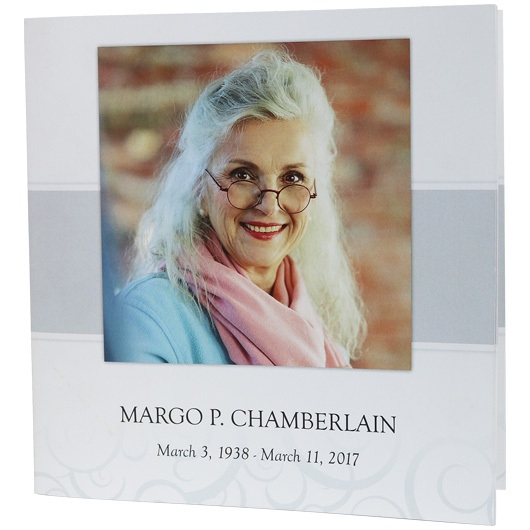 The Bookshelf Box includes 75 photos, a DVD of the memorial video, and a CD containing all of the digital photo and video files. 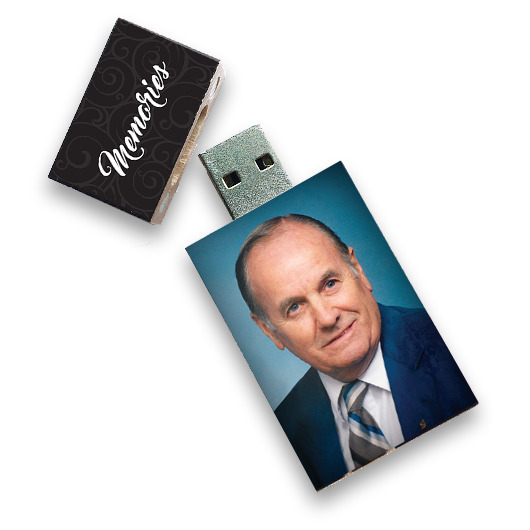 Custom-printed flash drive with the HD video file and all digital photographs. 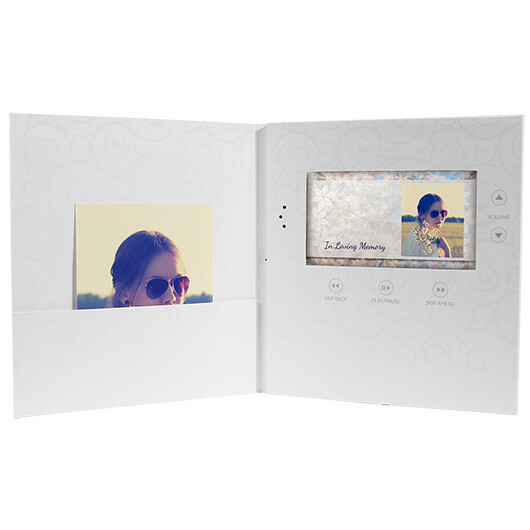 The Video Book is a very high quality product with a 7 inch HD screen with the memorial video pre-loaded. All you need to do is open it and the video will play. With 2 hours of continuous playback and a rechargeable battery, this keepsake will live on the coffee table. 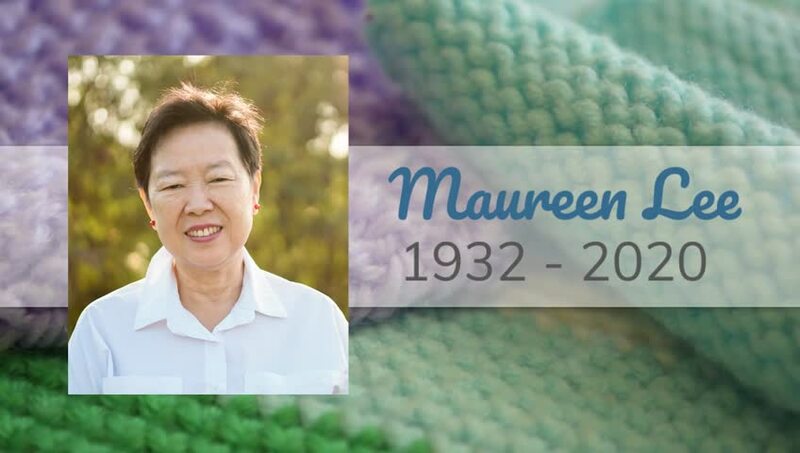 The Softcover Photo Book includes up to 100 photos. The book is 8.5" by 8.5" and printed on a thick photo-quality paper.